Now finally after a quite long hiatus from releasing dance music. 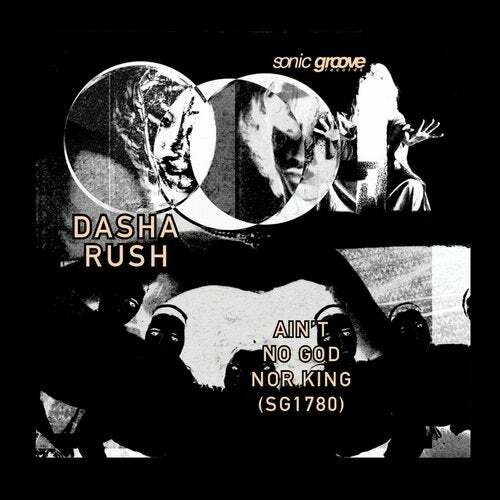 Dasha returns with Ain't No God nor King, a four song extended play release . This deep minded, beat driven journey starts off with Katusha a hard minimalistic, mesmerizing affair with strong delay effects on the kick drum forging a subconscious state of time and space as it echoes it way through mountainous canyons far away from civilization. Next up is Dystopian Drive, a percussive song which brings an atmosphere of doom and gloom full on, with a gritty & stringent EBM bassline and tripped out layered acidic effects riding the thick bass waves. Black Swan takes it a few steps further into even darker dismal territories, a nearly nine minute journey which is a fitting sound track for surveilling a haunting post nuclear apocalypse scene from up above. Acid Melancholy is a 303 tweaked ambient sound sculpture with a metronomic pendulum rhythmic perc swinging back and forth which signals that time has run its course and the end is near.